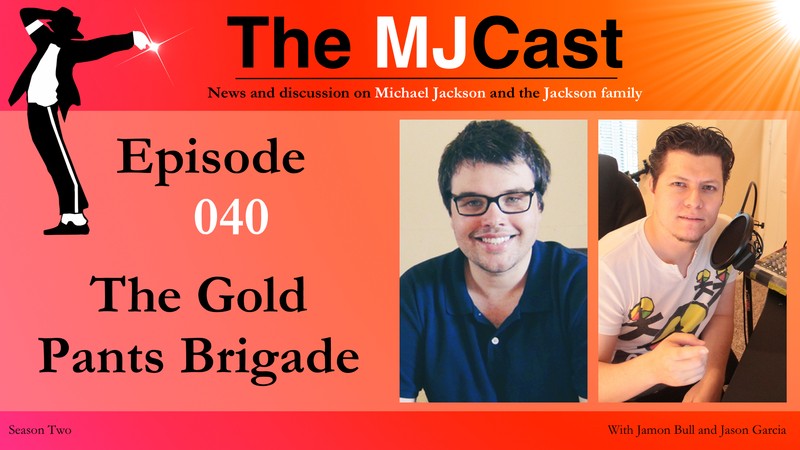 This entry was posted in The MJCast, Uncategorised and tagged 2 Bad, 2000 Watts, 3T, Amsterdam, Beautiful Girl, Berlin, Beyonce, Blood on the Dancefloor, Brad Sundberg, Brandy, Break Of Dawn, Brice Najar, Childhood, Christophe Charlot, Damien Shields, Dangerous, Do You Know Where Your Children Are?, Dublin, Elizabeth Amisu, Elizabeth I Love You, Fall Again, For All Time, Get On The Floor, Ghana, Ghosts, History, Hot Street, I Can't Help It, Immortal, In The Back, In the Studio with Michael Jackson, Is It Scary, It's Not Worth It, Jam For Michael (Master Chic Mix), Janet Jackson, Jason Garcia, Jennifer Lopez, Juan Gabriel, Karin Merx, Kawehi, Kingvention, Lady In My Life, Lady In My Life [Extended Version], Let's Make HIStory: An Insight Into the HIStory Album, London, Maid In Manhattan, Mexico City, MJBackstage, Money, Morphine, On The Line, One More Chance, P.Y.T. (Pretty Young Thing) [Demo], Remixed by Nick*, Rogue Magazine, RTL Late Night, Seeing Voices, She's Out Of My Life [Demo], Slave To The Rhythm, Someone In The Dark, Someone Put Your Hand Out, Song Groove (AKA Abortion Papers), Speechless, Stranger in Moscow, Sunset Driver, Taj Jackson, The Dream Lives On, The Girl Is Mine [Mexico Deposition], The Girl Is Mine 2008 (feat. Will.I.Am), The Journal of Michael Jackson Academic Studies, The MJCast en Español, The Way You Make Me Feel, This Time Around, Threatened, Tommy Organ, Travelling With a King, United Nations, Whatever Happens, Who Is It, Why You Wanna Trip On Me?, Xscape, You Can't Win, You Were There by Jamon Bull (Admin). Bookmark the permalink.